Some loan advisors claim that the big national mortgage companies, Fannie Mae and Freddie Mac, set underwriting standards for nearly all mortgage loans. Fannie and Freddie actually account for less than 40 percent of the residential real estate financing issued throughout the United States. A big number, yes, but hardly all-powerful. Moreover, Fannie and Freddie do not perfectly mirror each other. Both Fannie and Freddie publish underwriting guidelines, not edicts.1 Lenders who sell loans to Fannie and Freddie remain free to apply a reasonable degree of flexibility. Lenders who don't sell their mortgages to Fannie, Freddie, or other players in the secondary mortgage market are called portfolio lenders. Portfolio lenders include many banks, savings institutions, credit unions, pension funds, and life insurance companies. Although Fannie/Freddie-affiliated lenders may exercise flexibility if they choose to, portfolio lenders can design any type of loan they like. These portfolio lenders sometimes review Fannie/Freddie lending standards. Then they develop differentiated loan products for some targets of borrowers—for example, low credit scores, self-employed, no-documentation, low-documentation, stated income, stated assets, jumbo amounts over $417,000 (for single-family residences, multi-units provide higher conforming limits), no mortgage insurance, balloon notes, high qualifying ratios, income properties, farm land, rehab and renovation loans. Some portfolio lenders structure financing to meet the special needs of a single borrower—especially for investment properties. ♦ Federal Housing Administration (FHA): The FHA specializes in low-down-payment, easier qualifying loans. FHA can issue loans where borrowers need no cash of their own for a down payment. 1 Fannie and Freddie do set limits on the maximum amount of loan they will buy from their affiliated banks, savings institutions, and other mortgage lenders. Rural Development Administration (USDA): As part of the United States Department of Agriculture, this agency helps low- to moderate-income families buy homes with low down payments and low interests rates. State mortgage bond programs: These programs offer low-down-payment, lower-interest-rate loans. They target first-time buyers. First-timers include anyone who hasn't owned a home within the past three years. Community development loans: Many states and cities encourage homebuyers (and sometimes investors) to buy and fix up properties in designated neighborhoods. To achieve this goal, community redevelopment agencies frequently offer purchase and fix-up loans on favorable terms. With this quick trip through some common types of lenders and loan programs (more details in later chapters), I want to again drill into your consciousness that lenders differ, loan programs differ, and qualifying standards differ. No loan rep can ever tell you how much property you can buy, or how much money you can borrow. Specific loan reps can tell you how much (if any) money their funding sources will loan you. Never think of mortgage loans as peas in a pod. They're more like large baskets of mixed fruit with at least a few poisoned apples. You can even get different answers from different loan reps who work for the same lender and are working with the same loan program. How well the loan rep packages your personal information, and how effectively the rep responds to underwriter (or computer) queries can make the difference between a no and a yes—as well as in the loan amount, terms, and costs. 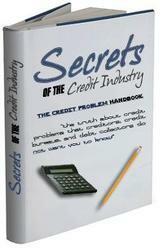 Legal strategies that credit bureaus, creditors and debt collectors do not want you to know! 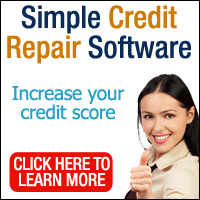 How to use consumer credit protection laws, without hiring a lawyer, and without going to court! At some point in your life, either you, or someone you know will need this information. How can finance companies and mortgage companies differ each other?